Mysterious and imperious, intoxicating and majestic, lovely Santorini captures all the five senses of the travellers. As a matter of fact, 2013 was the year of gastronomy in Santorini dedicated to the fruits of the dry volcanic land of Santorini. Its unimaginable beauty is accompanied from unique flavors that will impress your palate. Delicious agricultural products, Mediterranean cuisine, high-end restaurants, taverns with traditional recipes create a top-of-the-world gastronomic destination. Be prepared for an unforgettable dining experience on the island of lava! 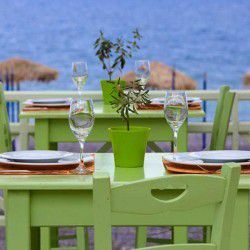 Situated in the cobblestone path of Imerovigli, Aegeon Restaurant is one of the finest new restaurants in Santorini. 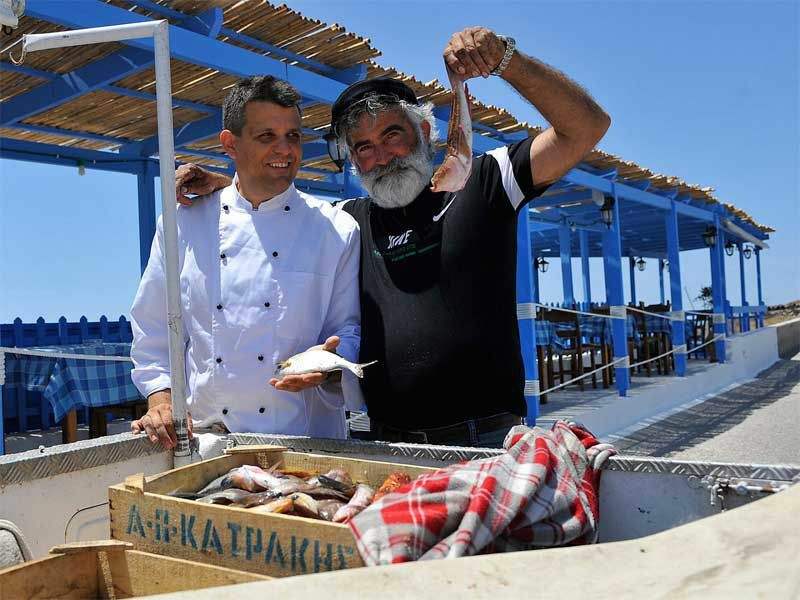 Although it is only the second year of Aegeon operation, it has won Santorini’s travellers with its Mediterranean recipes as well as local dishes of Santorini. It is worth noting that the staff is extremely friendly ready to help you with anything you need. 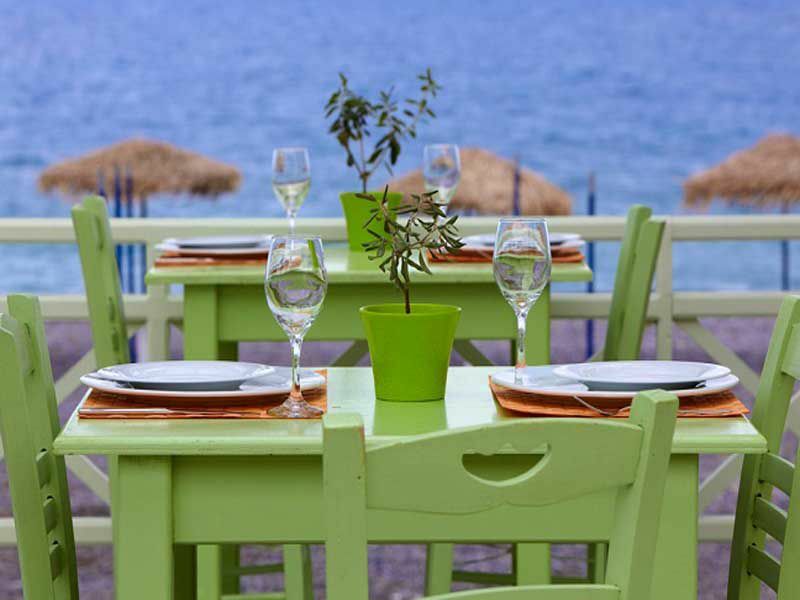 Aegeon is a very reasonably priced restaurant located at a wonderful location overlooking the caldera! Aegeon Restaurant is a must for anyone visiting Santorini. Il Cantuccio in Firostefani is a tiny Italian restaurant with a lovely terrace. 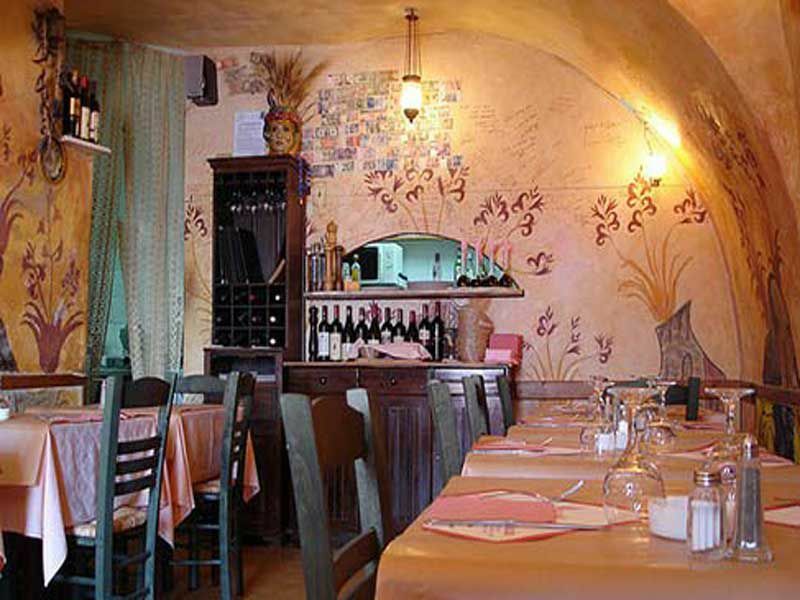 Although it does not have a caldera view, the restaurant is well known for its authentic Italian recipes made from its chef and owner Giuseppe. If you are in love with the Italian cuisine, make sure to visit Il Cantuccio to taste its lovely Italian pizza with the gorgeous crust and its tasteful risotto dishes. The restaurant is reasonably priced with good service. In one of the less known villages of Santorini, lovely Exo Gonia, one will have the opportunity to taste the authentic cuisine of Santorini. 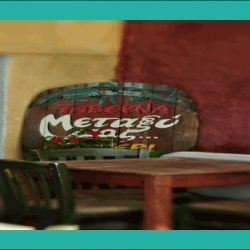 Metaxi Mas distinguish for its great hospitality and its delicious dishes. 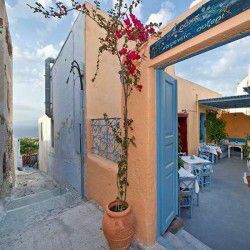 Whether in the afternoon or the evening, this charming tavern has a marvelous view to the hinterland of Santorini. Mysterious Greece unveiled this mysterious spot from some Santorinian locales, and undeniably we will recommend it to you. 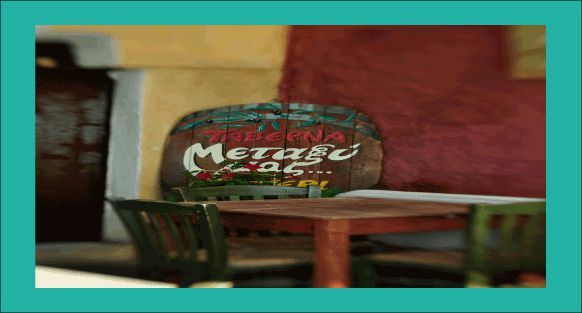 Make sure to accompany your order with traditional Cretan raki! 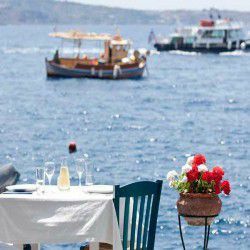 Ideally located on the waterfront promenade of Kamari beach, Nichteri restaurant is an exceptional choice for Greek and Mediterranean cuisine lovers. 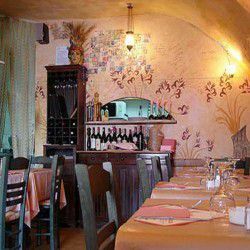 The restaurant’s dishes are outstanding and service is very friendly. Nichteri is famous for its use of Greek traditional products all over Greece. 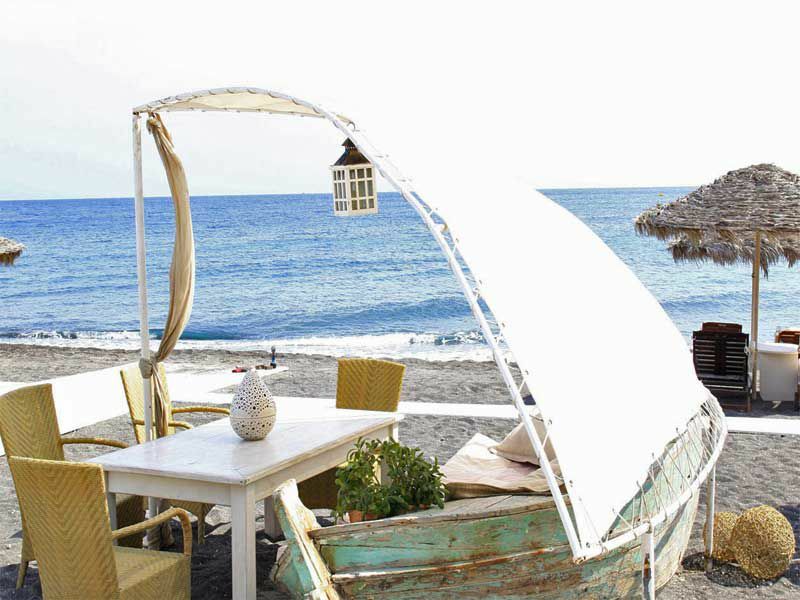 Nichteri has a wonderful atmosphere with a nice view to the sea while its terrace offers extravagant views of the volcanic sand. Undoubtedly, Nichteri is one of your best dining choices in Santorini. 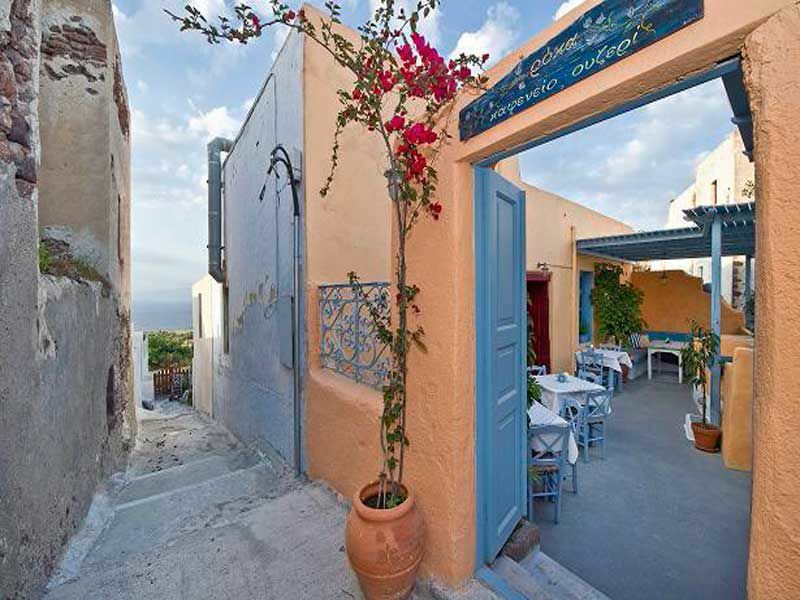 Set on the most beautiful village of Santorini, this cozy tavern off the beaten track awaits you. Hidden in the labyrinthine cobblestone alleys of Oia, Rokka will impress your palette with its genuine tastes with a different view of Santorini looking on the northern coastline of the island. Roka offers tasteful mezes along with exceptional seafood dishes that can be accompanied with its rich Santorinian wine list. It has a pleasant service and reasonable prices of course. 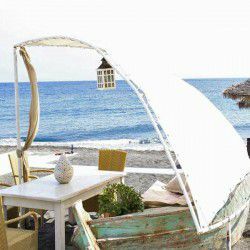 On the pavement of Perivolos, the longest volcanic sandy beach of Santorini, Seaside by Notos is definitely a must visit restaurant. From gourmet dishes and fresh seafood specialties to Mediterranean appetizers and ethnic flavors, you will find whatever your palate wants. Seaside by Notos distinguishes for its delicious food and its great assortment of wines and cocktails along with its state-of-the-art design and its excellent service, that positions Seaside by Notos in one of the best restaurants of Santorini. 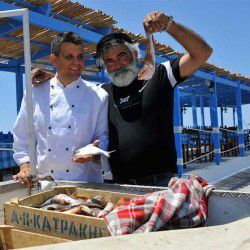 World famous Ammoudi in Oia hosts some of the finest fish taverns of Santorini, if not the Cyclades. 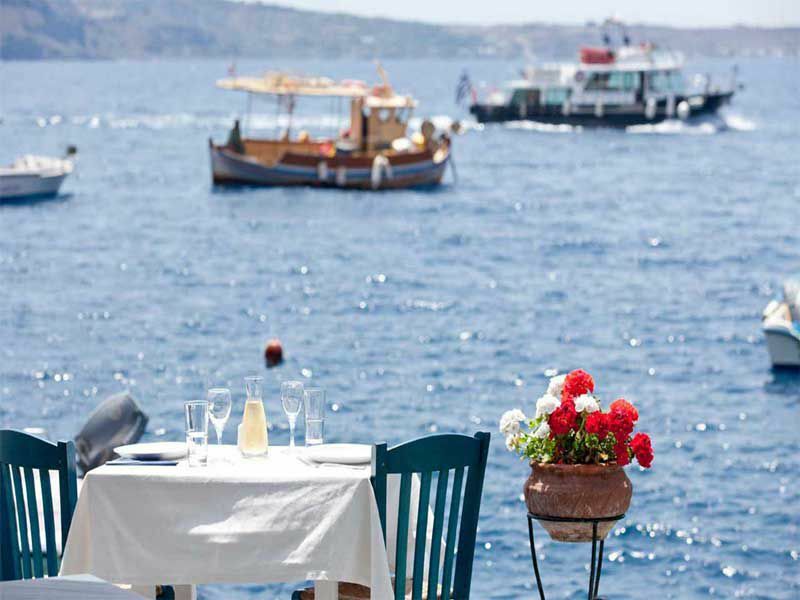 Sunset by Paraskevas is one of the oldest fish taverns that distinguish for its fresh seafood and delicious fishes. This cozy tavern has a wonderful setting to chill out, an ideal spot to catch the sunset. Service is excellent. Sunset by Paraskevas is a must for anyone visiting Santorini. If you are craving for fresh fish, you should definitely visit this charming tavern. Set on a wonderful terrace in Vlychada, To Psaraki knows all about fresh fish and delicious seafood. It has a wonderful location overlooking the marina of Vlychada. Its service is exceptional and its pricing is reasonable. To Psaraki is one of the best restaurants of the island serving delicious dishes in combination with Santorinian products. You should put it on your list!